The isekai genre is highly popular right now, but it looks like authors aren't running out of fun story ideas just yet! We are truly in a golden age for light novels. The medium has been home to some fan favorite anime, and is home to some really bizarre scenarios – like a boy dying and being reincarnated as a literal hot spring. 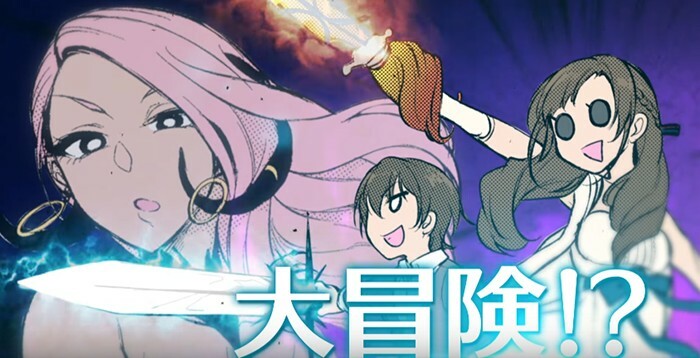 And now, the latest best selling light novel is about a mom who wrecks havoc in an RPG world! The hot selling series in question is Tsuujou Kougeki ga Zentai Kougeki de Ni-kai Kougeki no Okaa-san wa Suki desu ka? (Do You Like Your Mom? Her Normal Attack is Two Attacks at Full Power), and it has sold 12,889 copies in only nine days. There are light novels that barely sell that much in a year! It’s an award winning title (winner of the popular Fantasia Grand Prize), and the story follows a boy and his over-protective mom who get transported to a fantasy world. To the boy’s surprise, his mom is totally over-powered and does extra damage to their enemies. The isekai genre is highly popular right now, but it looks like authors aren’t running out of fun story ideas just yet. So, when will we get an anime version of super mom?